Dementia patients are being failed by social services who do not check if they are suffering from lonliness or malnourishment, GPs claim. A survey of 1000 doctors by the Alzheimer’s Society found that fewer than one in ten think people with dementia get enough statutory support to maintain a good diet or have adequate company. Three in five GPs (61 per cent) say lack of cooperation between the NHS and social care acts as a barrier to patients getting support, while many (73 per cent) also think patients, families and carers are left confused by the health and social care system. 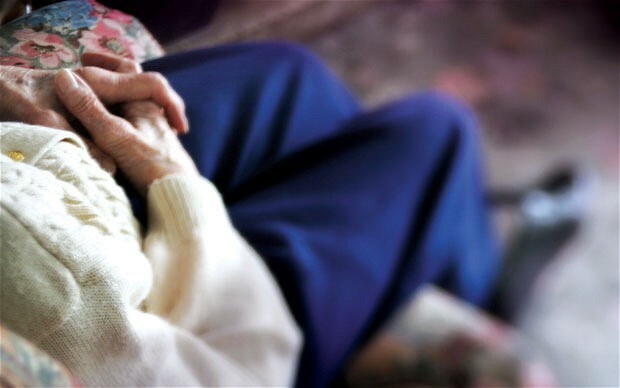 The charity said that hundreds of thousands of people were being let down and called for the Government to ensure that everyone diagnosed with dementia is entitled to a full package of support including a Dementia Adviser. It also wants to see better help and support available for carers, with a single point of contact available to help them navigate the health and social care system.